Earlier this month, Lego announced a new set based on the ridiculously popular indie game, Minecraft. But the idea for this set didn't come from a designer with the company; it came from a fan who submitted the idea to Lego Cuusoo. Lego Cuusoo is a website that lets Lego fans decide what the company should consider doing for future sets. If enough people (usually 10,000 or more) support an idea, Cuusoo will work to secure a licensing agreement with the toy giant and make the idea become a reality; Cuusoo will also donate a portion of the money such a set makes to charity. Of course, the Minecraft set isn't Cuusoo's only success, and there are many other great ideas on the site. Here are just a few of the great ones that we spotted. The Shinkai 6500 is Cuusoo's first ever commercial achievement. It's based on the real-life Shinkai submarine, and it comes with educational pamplets with all kinds of information about Shinkai, submarines, JAMSTEC (a Japansese agency that researches marine science and technology), and life under the sea. Learn while you play! The set is only available in Japan, but it occasionally floats around (get it?) on eBay and Amazon. 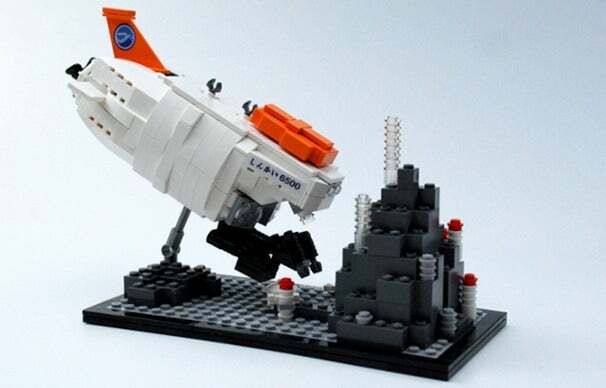 Hayabusa is another regional set: Like the Shinkai 6500, it is based on a real-life machine, but this time a spacecraft. The real Hayabusa (Japanese for "Pereguine Falcon") is an unmanned spacecraft operated by JAXA (Japan's space agency), that will collect samples from an asteroid named 25143 Itokawa and bring them back to Earth for analysis. As you can see from the above photo, it's quite a tricky build due to the angle of the craft, and Lego had to modify the prototype design some when it producted the final set, but it's so cool that it's got to be worth the frustration. Great Scott! Cuusoo member Masashi hopes that supporters like the idea of a Lego DeLorean--complete with Marty McFly and Doc Brown minifigures. The best part, other than a Lego DeLorean (which is pretty awesome by itself), is that Marty and Doc come with outfits for both 1955 and 1985. There's even the chance of that the final version will come with a hoverboard. So far, this brilliant idea has just under 5,000 supporters, so get voting! Don't think the recently announced Minecraft set has enough bricks? Cuusoo member Mrtoski wants to see a set that consists of extra Minecraft bricks, decked out just like blocks from the game. This proposed set would have all the bricks you'd expect--from grassy bricks to stone bricks to water ones--and it would have enough to either expand the current set, or let you make your own Minecraft-themed models from scratch. Mrtoski also hopes that this could be extended to include more characters, like creepers, zombies, and skeletons. 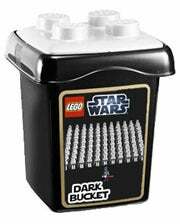 Why would you want to have a bucket comprising of just Stormtrooper minifigs? Why wouldn't you? While this idea seems a little out of the oridinary, this one makes total sense to a Lego Star Wars collector. The bucket would contain 99 Stormtrooper minifigures, plus one (chrome!) Darth Vader, of course. The best part of this idea: Its creator, Cuusoo user Haru, would donate any royalties to children affected by Fukushima. Zelda fans, this one's for you. Although Nintendo attempted to create building block sets for its games before, Cuusoo user MINGLES hopes that Lego will love the idea of an official Zelda set. So far, all MINGLES has are 3D renderings of potential components to a set (a minifigure Link, anyone? ), but the creator is accepting other Zelda fans' suggestions for a bigger, more awesome set. 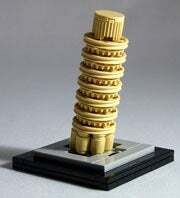 How about building the Leaning Tower of Pisa? Okay, so this is quite a novel one, which is why I like it. The prototype kit only needs 61 pieces, so it'd be great for Lego fans who don't have the time--or space--to construct a massive set. Sadly, it has a long way to go before it reaches the 10,000-vote mark needed for Lego to consider it.